Can you upgrade a MV F4? 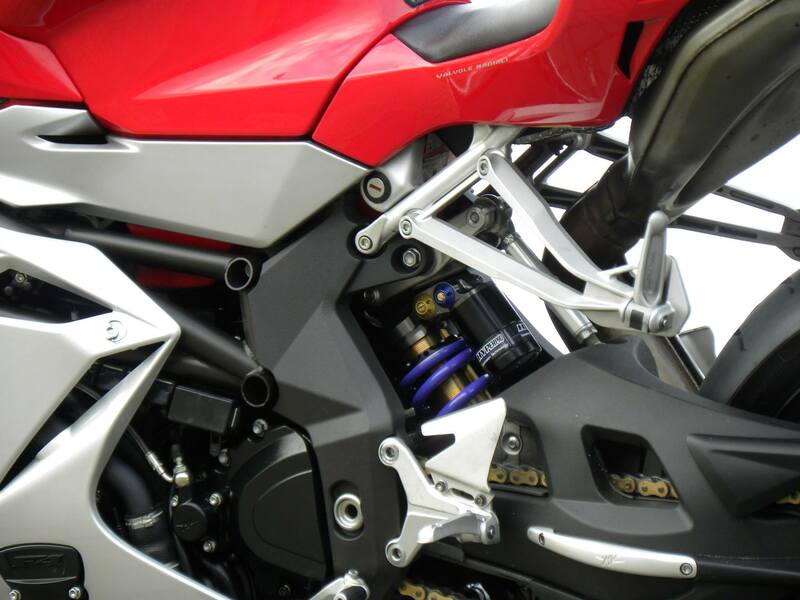 Of course, by using the finest products of Hyperpro Suspension Technology. 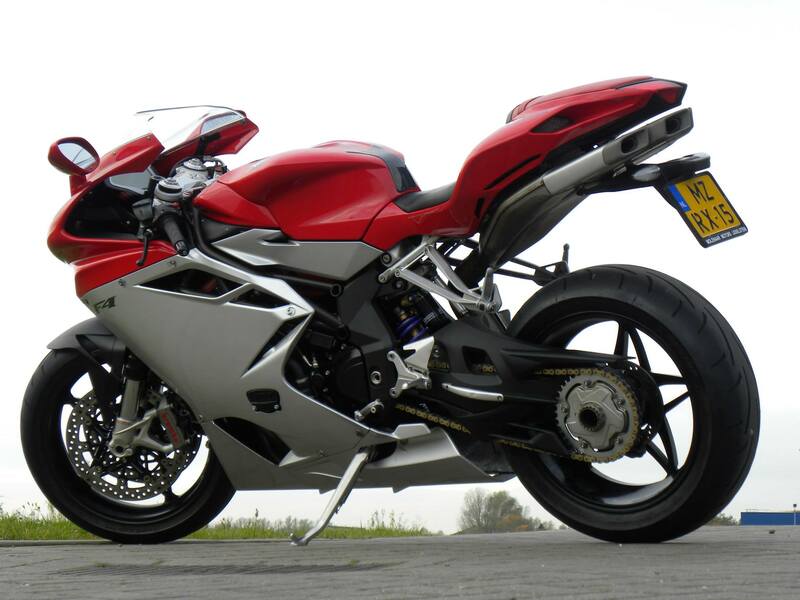 Hyperpro made a steering damper suitable for this bike to improve the sportive fun factor of this high end sport bike even more and still have the awareness of safety and comfort in mind. The reference MK-MV10-T001 is the mounting kit which fit together with a DS–MV1X-NL1 (Linear) or DS-MV1X-NP1 (progressive) steering damper. 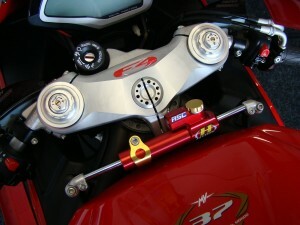 The mounting kit is available in gold, silver or black. The steering dampers are available in solid black, hyper purple, mad red, gold, silver and gun metal. Springs and shocks are also available to make it even better! For more information, please contact your local distributor, which you can find in the section “ where to buy” on this website.